Seaside Kitchens & Baths Inc.
Our team of craftsmen & designers are qualified experts in every phase of custom cabinetry design & manufacturing! We guarantee quality in all our work and, most importantly, timely results. With us you get a complete line of building & remodeling services. From kitchen and bath renovations to additions & new construction. Long lasting quality is our goal & we work hard to achieve it. Augustine's Home Improvement is your solution for all your home improvement needs. Satisfaction guaranteed! We provide our services at reasonable rates and offer free estimates and consultations. Whether you need help solving complex issues, repairs, conversion of a unfinished space to living space or wish to updated out dated items or design something new, we are happy to provide our service. Whether it's a one room renovation, larger scale remodel, entire addition or complete home renovation, we have the experience and expertise to make sure your home is how you want it to be. We'll work with you to understand your requirements, then provide detailed prices to allow you to make the best tradeoffs between cost and finish. We specialize in new homes and complete remodels. We have more than 70 years of combined experience in the building and remodeling industry. We specialize in providing the customized details that make a home truly unique. Since it’s founding in 2011, A. Tesa Architecture has earned a reputation for designing homes that offer an admired interpretation of classic New England character. Our goal has been to interpret the dreams of our clients to come true, through teamwork, expert installation and exceeding their expectations for safety, quality, functionality, and aesthetics. Coastline Construction is locally-owned and operated. We are a fully-licensed builder and member of the Better Business Bureau. 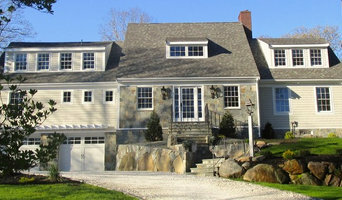 We are considered one of the best Cape Cod Home Builders on Cape Cod. We have been building new custom homes and remodeling existing homes on Cape Cod for over a decade! We provide residential construction, additions, renovations, and finish carpentry. The builders group at Cape Associates is a full-service custom building company, specializing in new construction and renovations for residential homes and commercial buildings. Tuleika Building Company has been building custom homes in Cape Cod since 2002. We pride ourselves in completing each project with the highest degree of craftsmanship, timeliness, and communication. 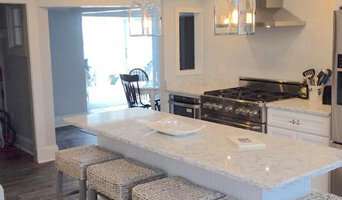 Cape Cod Kitchen Tech is a full-service kitchen and bath firm with an accessible feel. Whether a small renovation or a whole house remodel, your project will be a top priority to our staff.